Part of the renewed attention this year may stem from the PCA’s steady growth (albeit slower than at first). Over the last five years, the denomination has added 68 churches, 374 ministers, and almost 19,000 members. The PCA now has 370,000 members. Some of those churches and members come from the country’s biggest Presbyterian group, the Presbyterian Church (USA), or PCUSA. 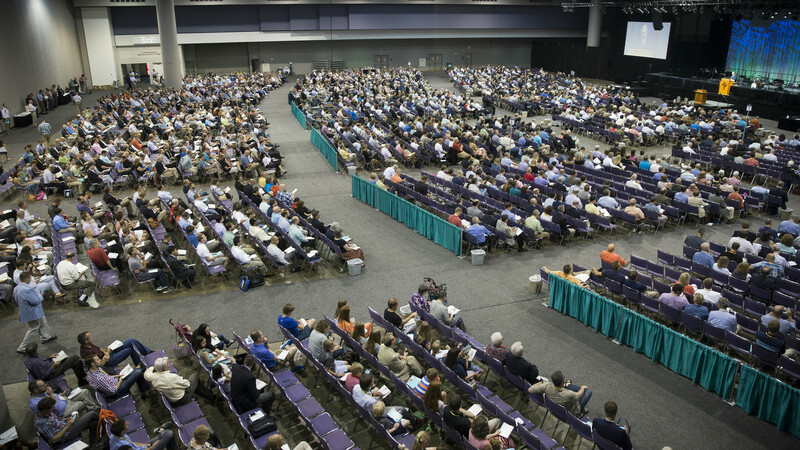 As today’s version of the original Presbyterian denomination the PCA split from, the PCUSA continues to ordain women and has extended church offices to non-celibate gay and lesbian clergy. The 1.5 million-member PCUSA, which also met last week, continues to shrink, losing 187 congregations and more than 95,000 members last year. Some of its decline over the past few years stems from the ordination issue. Conservative Presbyterians have left for the PCA or more recently formed spinoffs, like ECO: A Covenant Order of Evangelical Presbyterians, which ordains women, but not gay clergy in relationships. Despite falling membership, giving to local missions was up by almost $7.7 million—a trend that echoed recent reports from the Southern Baptist Convention.